This is an ongoing idea and experiment to build a night stand. The idea is to reverse the roles of concrete and glass. The rendering has glass panel legs intersecting concrete slabs. To challenge the impossible I would like the top slab to be rigidly supported by one panel. A slab of concrete (45 lbs) cantilever from a piece of tempered glass is a lot of forces. I have done a number of experiments and achieved a cantilevered concrete slab. Thou, too much flex remains in the system, primarily the connection point. The challenge remains designing a connection between the glass and concrete that is rigid enough. 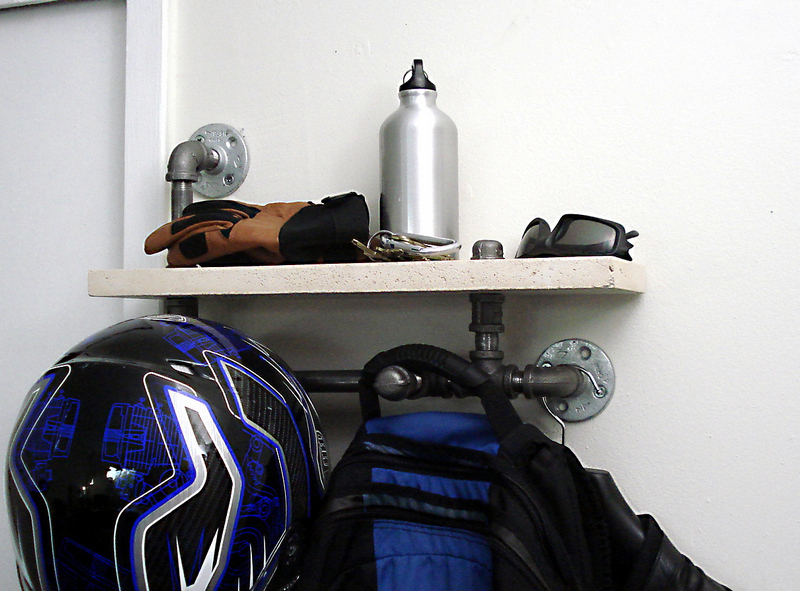 Otherwise using two glass panel legs at the full height will probably work spectacularly. 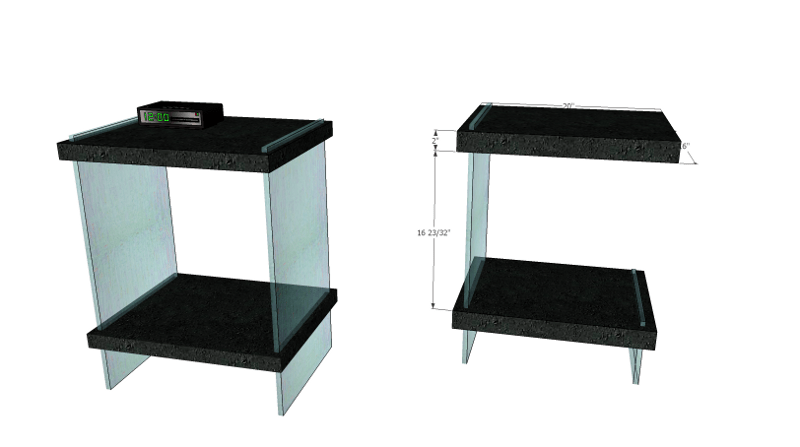 Any combination of slabs and glass could be assembled to suit a clients need, like a bookshelf. This entry was posted in Concrete, Glass, Ideas and tagged bedroom, Industrial, Modern on January 4, 2014 by Wiskow. 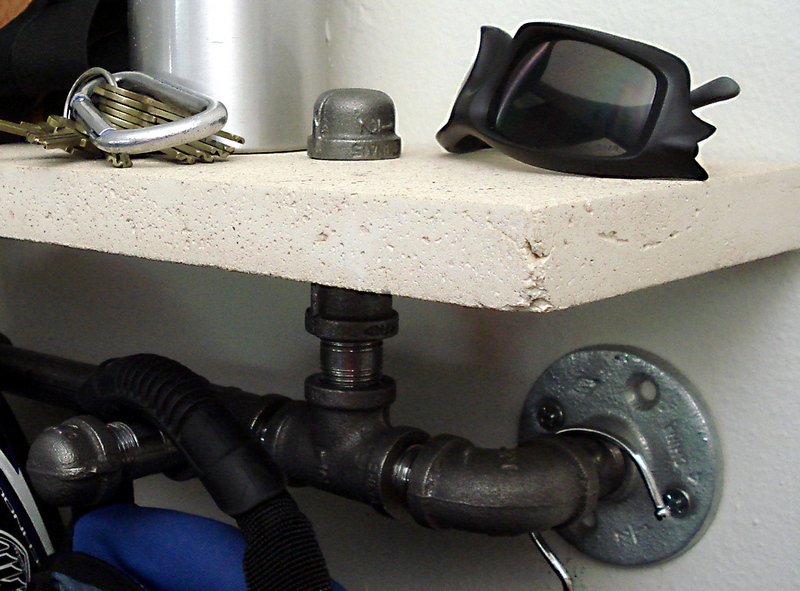 These shelves are made of cast concrete with black pipe intersecting and supporting the unit. 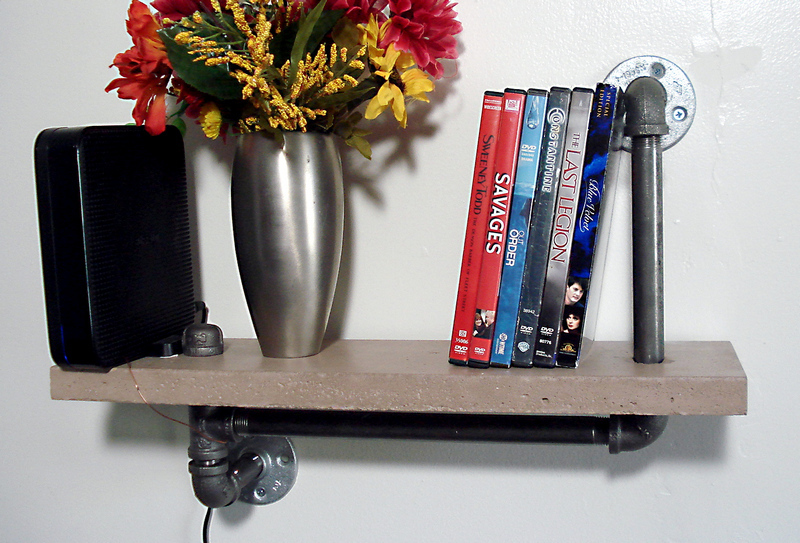 This design was inspired by Loft Essentials that uses reclaimed wood for shelving material. Want a custom made one? Message me here or through Facebook or Etsy. This entry was posted in Concrete, For Sale, Metal and tagged Industrial, metal, Pipe, shelf on November 29, 2013 by Wiskow. 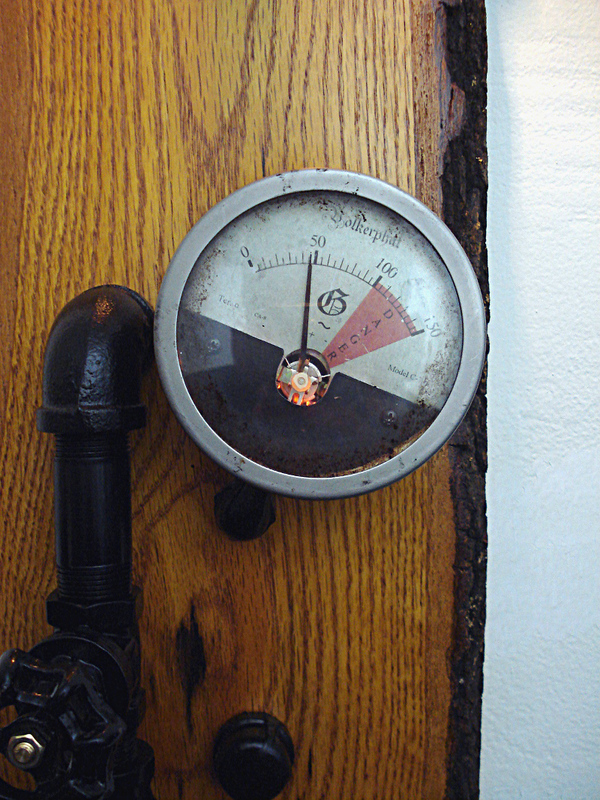 A found slab of oak has black pipe protruding through to the lamp, gate valve, and working gauge. 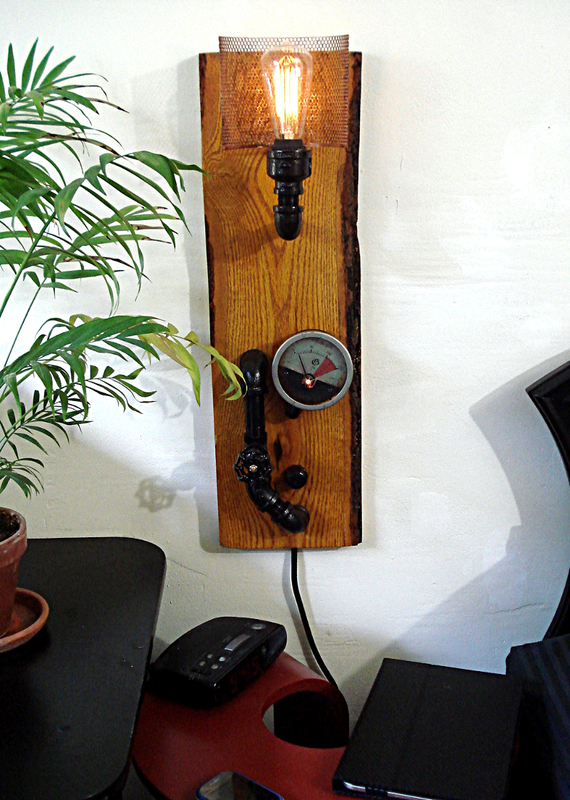 This wall sconce is dimmable by rotating the valve handle and the gauge needle moves in relation to the dimmer. Watch a video at YouTube to see it light up! 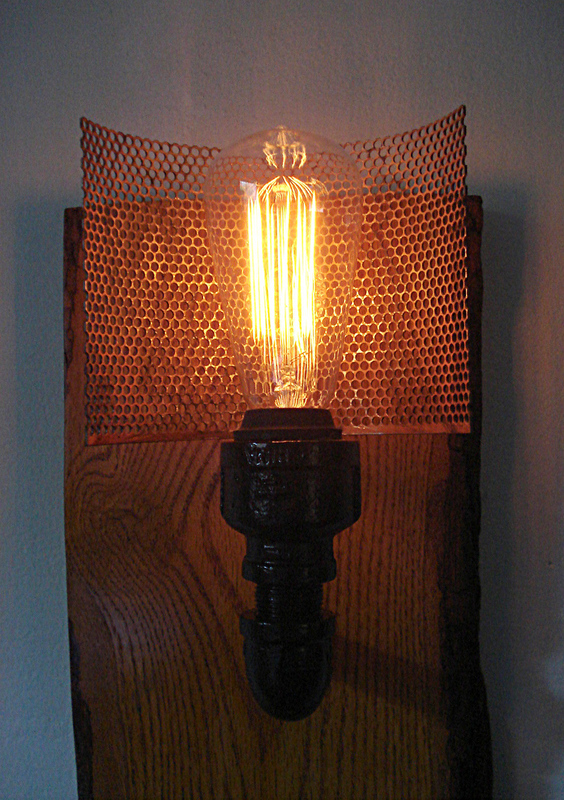 This entry was posted in Metal, Wood and tagged Industrial, Oak, Pipe, reclaimed, Steampunk, Wall Sconce on November 26, 2013 by Wiskow.